Cost of living in Spain is low, even in the cities. Leaving aside rent or mortgage payments—and depending on your lifestyle—a couple could easily live on $24,000 per year and still eat out regularly. Once you know where to go, a meal for two with wine or beer can cost as little as $28. For the best value, choose the lunchtime menú del día (the menu of the day). In most places, the menú del día usually costs between $14 and $25 and normally includes a beverage (which can be beer or wine). A local beer and a free tapa (a little snack that can be anything from a small dish of olives to a couple of rings of fried squid) costs around $3. In bars that charge for their generously sized tapas (very common in Andalucia), a filling meal of a drink plus a couple of tapas can run you $7-$9. Even dining in classier restaurants isn’t overly costly… For a couple, the bill is usually somewhere between $60 and $100, wine included. Though individual grocery bills can be hard to estimate, $65 per person per week is plenty. Because of the warm climate, many basic food items are inexpensive here—Spain produces a variety of fruits and vegetables both for domestic consumption and for export. In season—and Spain has a long growing season—many produce items cost $1.50 a kilo. Typically, meat and fish are good value—local lamb can run about $4.50 a kilogram and in coastal regions fish and shellfish are $1.50-$4.50 a kilo, depending on the variety. Because of this, it’s easy to eat healthily if you choose. Mediterranean specialties like olive oil and wine are also abundant and inexpensive—starting at $4 a litre for olive oil and $5 a bottle for local wine. Having a car is optional in Spain, saving you purchase and maintenance cost. Spanish cities and villages are designed for walking, with most shopping easily accessible on foot. For longer distances (or bigger shopping trips), public transportation is readily available. Excellent bus and train services get you quickly around town or the country. Plus, from age 60 on, you qualify for retiree fares, which cut long-distance travel costs substantially. Do you long to laze on a sunny Mediterranean beach? Explore historic buildings and ground-breaking architecture? Or just indulge in a simple cup of coffee, paired with a tasty churro? Then maybe Spain is the perfect place for you. Putting a pin in a map is perhaps not the best way of finding the place to spend the rest of your days, but this is what my husband Norman and I did when we decided to move overseas. We simply pulled up Google maps, closed our eyes…and left the rest to chance. Lying at the heart of sunny Andalucia, Seville is one of southern Spain’s most beautiful cities. Waves of conquerors, from the Romans to the Moors, have left their stamp on its spectacular architecture. 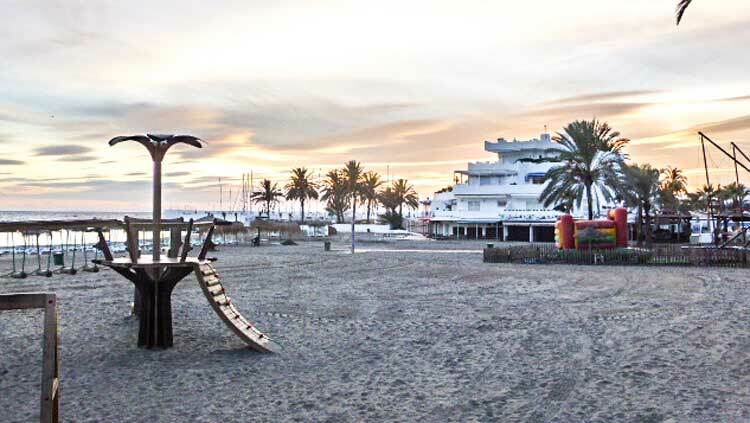 Thousands of tapas bars line the streets, and the warm Spanish sun nurtures parks full of palm trees. With such beauty all around, it’s easy to see what drew expats Karen and Rich McCann to Seville, where they now enjoy fine dining, a great social scene and terrific, inexpensive healthcare. Is This the Best Bargain in Europe? First, this is Europe. That means walkable cities (leave the car behind), with culture and history all around you. Want to stay in a restored castle or live in a centuries-old (but renovated) apartment? You can. Like museums? Science, art and history museums are all over, and many have hours when they’re free of charge. (Madrid’s Prado Museum, with its free evening hours, is a personal favourite. And you can admire Bilbao’s new Guggenheim Museum from the outside; the building itself, and its surrounding park, are the big draw in my book.) Like concerts? You’ll find everything from rock and jazz to opera and zarzuela (Spanish operetta). I’ve gotten concert tickets in Valencia, Spain’s third-largest city and a great centre for music, for €15 ($23). Read more: Is This the Best Bargain in Europe?